On Monday, free tickets to Nipsey Hussle’s public memorial service -- to be held Thursday (Apr. 11) at the Staples Center in Los Angeles -- were made available early Tuesday morning, but were gone within minutes. According to AXS, the company distributing the tickets through their website, made it clear that ticketholders must be California residents and were only allowed four tickets per household. But those stipulations didn’t stop scalpers from selling tickets online for anywhere from $100 – $500 a piece via sites such as Craigslist and OfferUp. The company also told TMZ they are working hard to remove the listings on Craigslist and other secondary selling websites. Nipsey’s memorial will begin at 10 a.m. sharp Thursday morning, and people traveling in groups must enter together, AXS said. 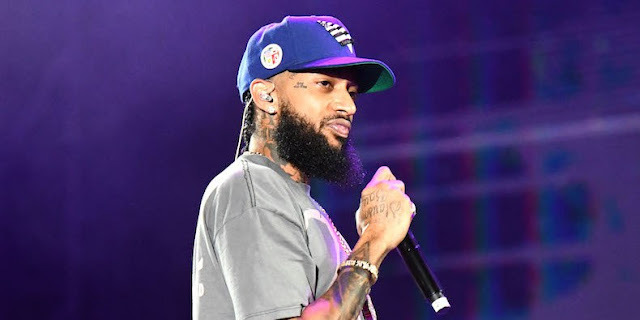 Nipsey's girlfriend, Lauren London, continues to mourn his death, and in a recent interview with the L.A Times, she said; "I'm going to keep my head high and always represent for my king to the fullest." She adds that she will always remember the rapper, who she dated for nearly six years, as the most upstanding man. "He was a protector and wanted us to be our best at all times," Lauren says. "He was a truth seeker and truth speaker... He loved his kids. He was a family man. His family came first." Meanwhile, his mother and father seem to have already come to terms with his death, despite the horrific nature of his killing. His mother, Angelique Smith, even says she is at "perfect peace." 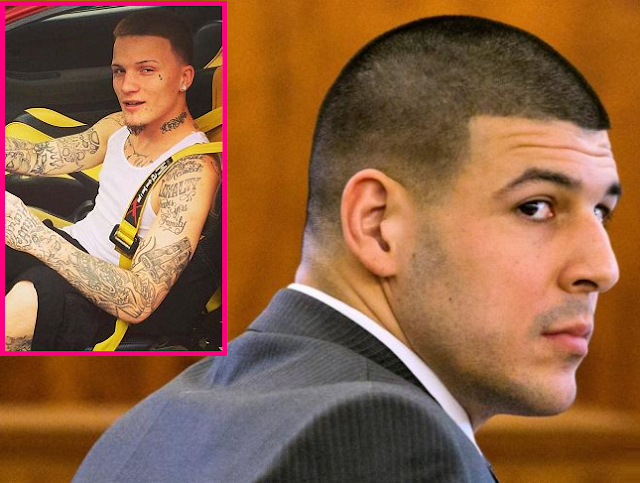 Aaron Hernandez's Boyfriend Kyle Kennedy Demands for Prison Officials to Release Suicide Note! 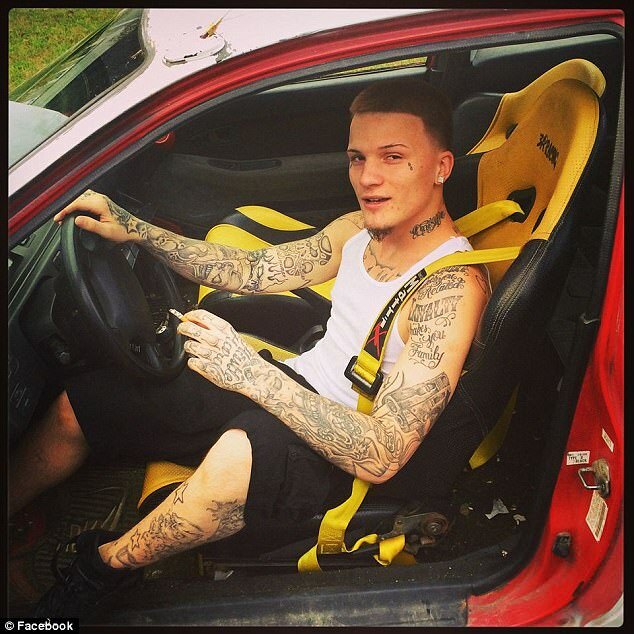 Just days after Aaron Hernandez hung himself inside his prison cell, the former pro-baller's alleged boyfriend Kyle Kennedy is demanding authorities to release Aaron's suicide note that was left for him. According to the DailyMail, the night before Aaron hung himself he had requested prison authorities to allow his male lover to share his cell with him but his request was denied. The former New England Patriot, who was serving a life sentence without possibility of parole, was alone in a cell built for two and wanted company and he specifically chose 22-year-old armed robber Kyle — the man he left one of his three suicide notes. Kennedy's attorney Larry Army Jr. confirmed that Hernandez had made the request to authorities at the maximum security Souza-Baranowski lock-up in Shirley, Massachusetts. Aaron Hernandez had requested to the prison that my client, Kyle Kennedy be his cellmate,' Army, managing partner of the Boston firm Army & Roche, told DailyMail.com in an exclusive interview. He said Kennedy was open to the idea. 'If he was going to be in with someone else why not Aaron Hernandez,' he said. Massachusetts Corrections Department spokesman Christopher Fallon did not immediately return a call for comment. Kennedy was jailed in 2015 for robbing a Cumberland Farms store in Northbridge, Massachusetts at knifepoint. He bargained down an original charge of armed and masked robbery to the lesser charge of armed robbery and received a sentence of 3-5 years. Insiders told the site, Kennedy became quite friendly with Hernandez during his time in the maximum security prison that when the 27-year-old football star decided to hang himself he was one of just three people to whom he wrote suicide notes. The other two were for his fiancée Shayanna Jenkins-Hernandez and their 4-year-old daughter Avielle. Army said Kennedy has not been shown the suicide note. 'We will be requesting that the letter be turned over to my client as soon as possible.' 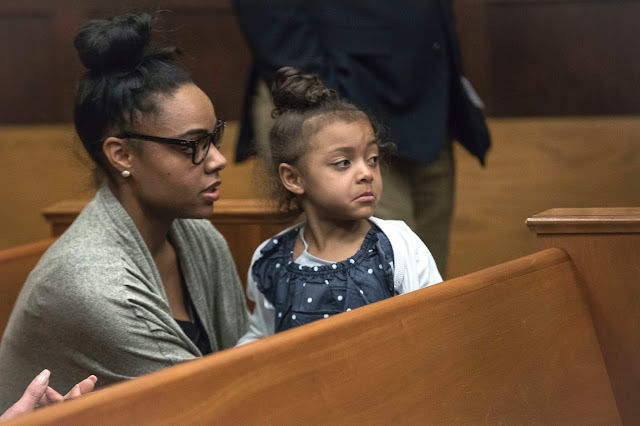 On Monday, the day of Hernandez's funeral in his hometown of Bristol, Connecticut, a judge ruled that the notes be handed over to Jenkins-Hernandez. Kennedy is now off the suicide watch that he was placed on after his lover's death, Army said. 'My client is obviously saddened by the loss of his friend, Aaron Hernandez,' he said. It was reported on Monday that Hernandez's body tested positive for the synthetic marijuana, K2. UPDATE: Aaron Hernandez's Death WAS ACTUALLY Suicide, Despite Murder Rumors! This week, it was reported that ex-baller Aaron Hernandez had committed suicide inside his prison cell just days after he was acquitted in the 2012 fatal shootings of Daniel de Abreu and Safiro Furtado in Boston. According to reports, prison authorities found the 27-year-old unresponsive in his cell and claimed he used a bed-sheet hanging from his window to hang himself. Hernandez's attorney, Jose Baez, believe his client was murdered by an inmate or prison official as he showed no signs of being suicidal when he last seen and spoke to him last Friday. Baez said he believes this could be a murder, by either inmates or the folks who run the prison. And Baez isn’t the only one who doesn’t believe that Hernandez would commit suicide. Hernandez’s former agent, Brian Murphy, told ESPN on Wednesday morning that there was “absolutely no chance” Hernandez took his own life. “Chico was not a saint, but my family and I loved him, and he would never take his own life,” Murphy said. Baez told TMZ Sports that Hernandez’s family is devastated and believes he was in a good space and wouldn’t have taken his own life. Daily Mail also reports that “Hernandez had been planning his suicide for weeks.” An insider told the website Hernandez had given “most of his personal belongings to fellow inmates and covered the floor of his cell in soap,” so he wouldn't be able to stop himself even if he tried to adopt his decision..
Hernandez leaves behind a daughter whom he fathered with his fiancee, Shayanna Jenkins-Hernandez. In addition, his lawyer, said Hernandez was optimistic that he would have his previous murder conviction in the 2013 fatal shooting of Odin Lloyd, for which he was serving a prison term of life without the possibility of parole, overturned. 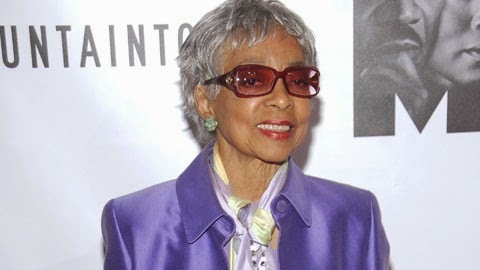 Award-winning actress and activist Ruby Dee, whose seven-decade career included triumphs on stage and screen, passed away last night at age 91. According to Dee's representative Michael Livingston (via CNN), the iconic actress died peacefully Wednesday at her home in New Rochelle, New York. 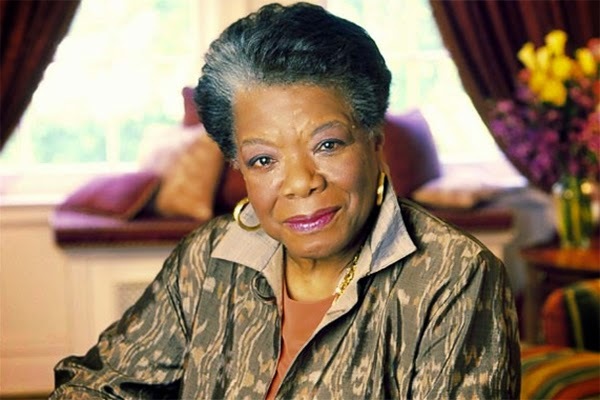 Award-winning author, actress, renowned poet and most respected civil rights activist, Dr. Maya Angelou, has died. Before her sudden passing, actress Brittany Murphy was in the process of promoting her new movie called, Something Wicked, that was shortly after put on hold due to the actress' untimely death four years ago. On Tuesday, news reports confirmed that former Miss Venezuela winner Monica Spear was shot and killed while on vacation in her hometown due to a violent car robbery that also took Spear's 49-year-old husband Thomas Henry Berry's life. 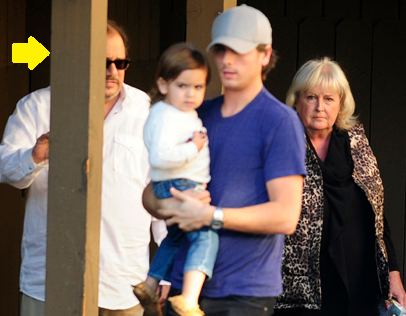 Just less than three months after his 63-year-old mother Bonnie Disick's passing and getting thrown out of Kourtney Kardashian's Los Angeles home, reality star Scott Disick now has to deal with the sudden death of his dad, Jeffrey Disick. 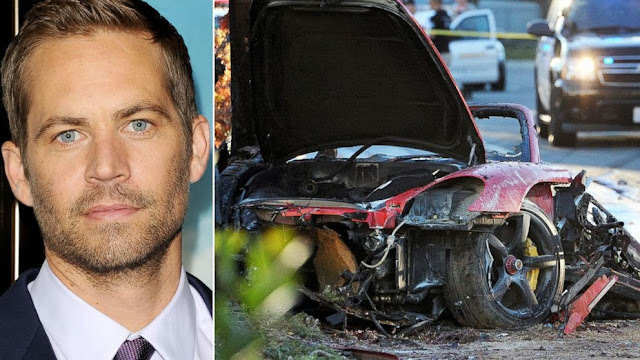 New details reveal that "Fast and Furious" star Paul Walker, who died last year in a fatal car accident in Southern California, was reportedly traveling at more than 100 mph in a friend's car at the time of the accident. 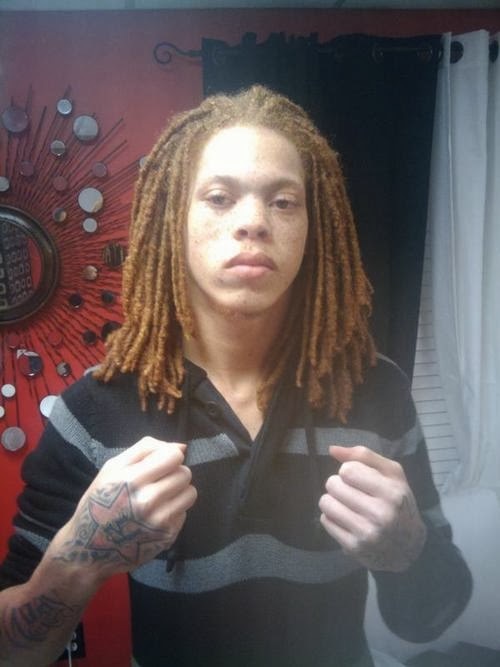 Waka Flocka Flame Mourn's Younger Brother Kayo Redd Mysterious Death! Rapper Waka Flocka Flame is mourning the death of his younger brother Kayo Redd, who mysteriously died on Sunday. 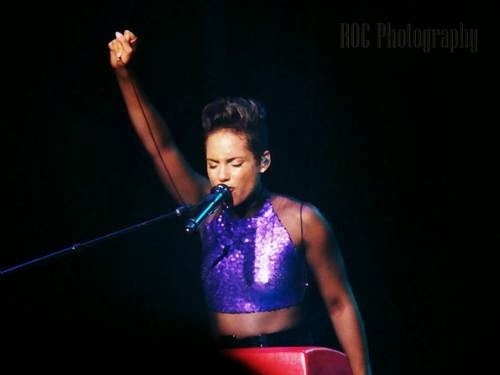 R&B singer Alicia Keys and John Legend paid homepage to the late Nelson Mandela during Keys' "Set The World On Fire" tour stop at Rochford Wines in Yarra Valley, Australia on Monday.